The introduction of GarageBand, allowing everyone to create music in a short space of time from their Mac or iOS device, has helped many artists break into the industry or produce new tracks for upcoming albums. As a relatively simple to use tool, it has a wide-ranging user base that counts many high-profile names as its users, including T-Pain, St, Vincent, Rihanna, and Fall Out Boy. 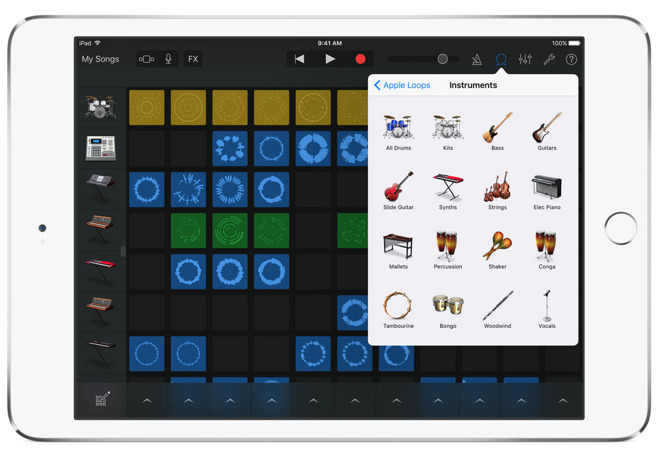 A key ingredient to the tool is its library of sounds, loops, and virtual instruments that can be brought into a GarageBand project and made to perform just how the user wants. In a feature by Rolling Stone, it reveals Apple goes to great lengths to make all of the noises that a user could ever want to produce. Headed by 17-year employee Dr. Gerhard Lengeling, who joined Apple after it bought his company Emagic, the team of a "half-dozen members" spend time deciding the finer points of how everything should sound to users. The considerations range from the model of electric guitars used to how a string should sound when flicked on an iPad with different levels of force, within the Music Apps studio. The production process can take weeks or months to create a new instrument, both for those using synthetic notes and for "real" sounds recorded from instruments. For the latter, the steps to record a note include the musician having to hold their breath for seven seconds to minimize extra noise for the recording, with repeated playing of the note with different finger positions, volumes, and pressures required. For the creation of the East Asian instruments suite, Apple engineers went to the trouble of querying experts on the ideal color of wood needed for the app, as well as poem font choices. While GarageBand and Logic have similar DNA, Apple has only really promoted the former in a major way, while also avoiding suggestion it was a professional tool. "The dynamic between GarageBand and our pro product, Logic, is organic," believes vice president of apps marketing Susan Prescott. "It's not 'create a feature for pro and stream it down' or 'design for consumers and then shove it up for pros,' we want to stay relevant for everyone." As for the introduction of GarageBand itself as a product, it stemmed from an experiment in 2004, when Apple was looking for new ways computers could be used. "Back when we were working on the original iMac, thinking about how the world was going to change around us, we were inspired by the idea of a new breed of software to connect all the things that were starting to appear," said SVP of worldwide marketing Phil Schiller. "Maybe someday the next John Lennon would discover their talent using the computer they got as a kid for Christmas." The relative ease of access to GarageBand has led to it becoming an important part of commercial music production, alongside other major tools like Logic Pro X, Pro-Tools, and Ableton. 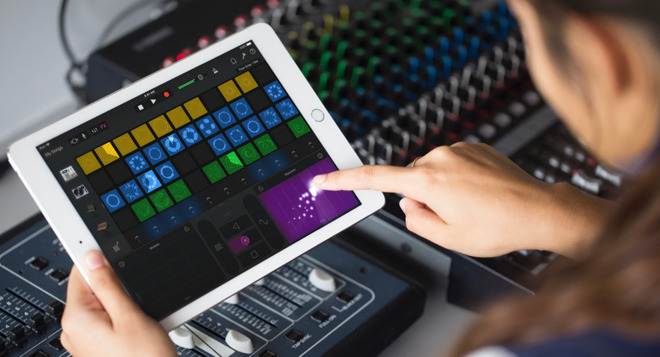 Music producer Oak Felder suggests GarageBand has simplified collaboration to all users, making it easier to simply demonstrate their ideas with music instead of explaining it out. Producer and A&R executive for Warner Mike Elizondo advises "Some people are so good at making demos in GarageBand that they bring in something and I'm like, 'We can use 80 percent of that as the final record if you want. There have been times an artist will bring in a vocal they recorded in GarageBand just using a laptop internal microphone and it sounds cool." On the subject of future features arriving in the next few years, Schiller declines to provide specifics, but suggests "I think machine learning —as in, systems and software that will enable more ability to help anticipate what someone wants to do —will be of value."